We love a man who knows how to take care of his skin. Nothing’s as attractive as knowing that he does more than just hilamos, right? 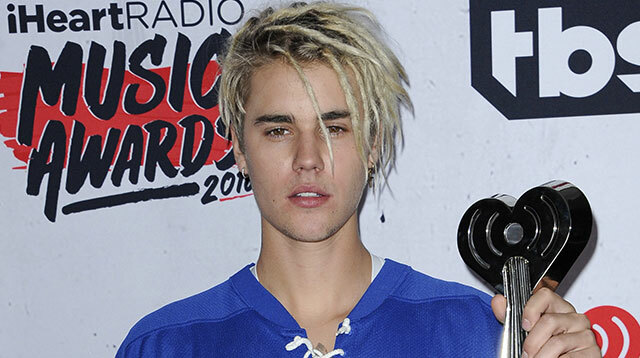 Anyway, Justin Bieber has been the talk of many beauty websites lately, as his intense (YAS!) skincare routine has just been revealed by his hairstylist-slash-skincare specialist. Florido posted the pic just before Justin bagged the Top Male Artist award at the Billboard Music Awards, where the Biebs definitely looked like he had glowing skin. The beauty expert explains that he starts the routine by cleansing Justin's face with Ole Henriksen’s Empower Foaming Milk Cleanser. He then applies Ole Henriksen Sheer Transformation Moisturizer to add hydration to the skin. For the eye area, he grabs the Ole Henriksen Ultimate Lift Eye Gel. Finally, he uses the Ole Henriksen Grease Relief Facial Water to get rid of excess oil and soothe tired skin. The result? Healthy, glowing skin for the Biebs! Well done, JBiebs, well done!